Have you been to Bucharest city center? Bucharest is 560 almost years old, whereas our experience in being a tourist destination is still new. Buckle up and start exploring the center of Bucharest, a city featuring a combination of South-Eastern contrasts and old Europe flavors. Our address is a historic one to begin with. Hotel Concorde, a 19th century building, is comfortably placed on the French Street, at a crossroad of historic paths. You are about to stay on the oldest paved street in Bucharest, which is declared part of a special architectural area of Bucharest old city center. Its name comes from the fact that a French consul decided to move here some 200 years ago. Once you step out of our hotel, history keeps unfolding and everything is within walking distance. 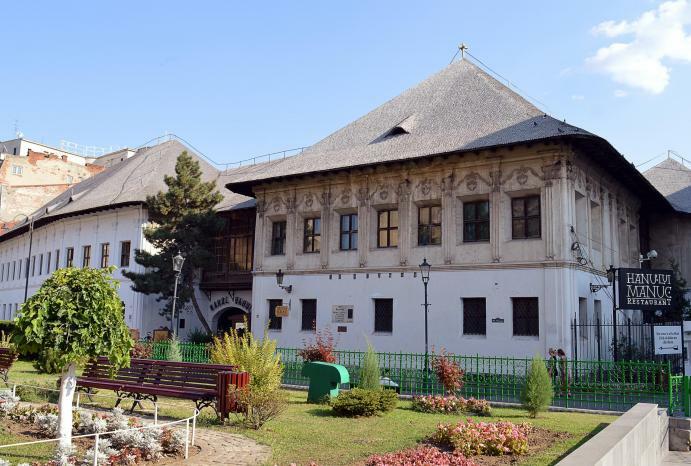 Stay on this street, as Hanul lui Manuc is a historic building worth visiting. Have a coffee and try picturing this place teleported in 1806. Hanul lui Manuc was a very modern building for those times, with merchants and craftsmen running around and important people of the time stopping here to spend the night. Historical treaties were signed here and crucial matters were discussed over lunch. Don’t leave this street yet. 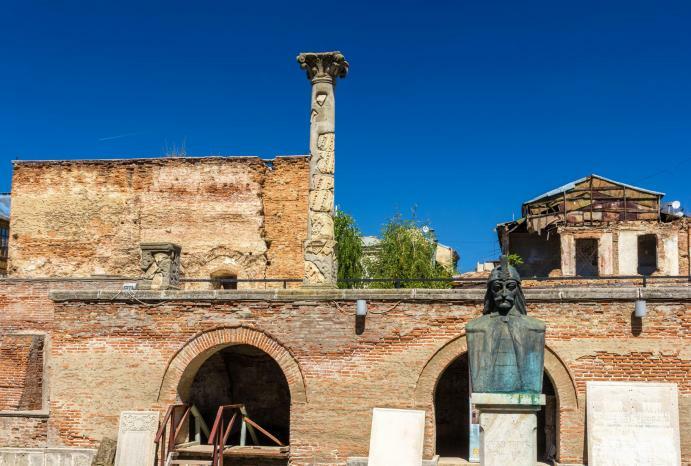 Curtea Veche is the first royal palace of Bucharest and Vlad the Impaler, the famous Romanian ruler that inspired Bram Stoker’s Dracula character, has close ties with this place. Initially consisting of a palace, church, stables and gardens, it was destroyed first by a fire and then by a devastating earthquake, but still holds a hint of old times grandeur. Do pay a visit. For further interesting discoveries, there is no need to reach too far. 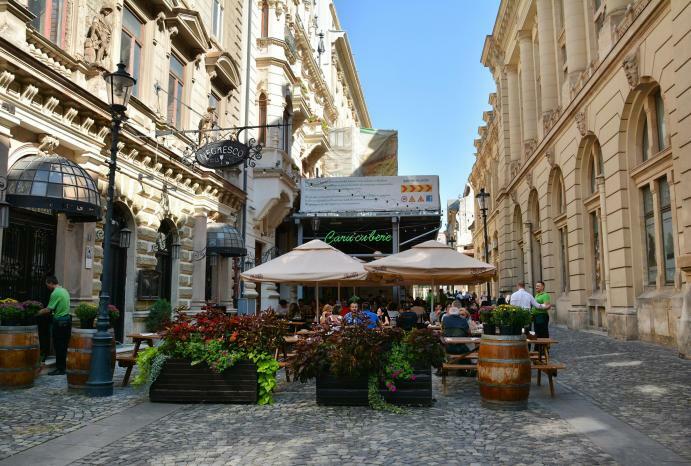 Take a few steps in the old Bucharest city center and have a beer in Caru cu Bere, a beer house opened in year 1879. If you arrive here by lunchtime or decide to stay for dinner, you will get a bonus: Romanian traditional music & dancers with colorful costumes will cheer up the place and you will have no choice but to join in. On the same street there is Stavropoleos Church, opened in 1724, which is a monument built in a beautiful Renaissance local style. If we concentrate on more recent times, Casa Poporului (House of the People) is very close to our hotel and Bucharest old city center. A visit here will enable you to understand this part of the world better and have a more contemporaneous view on our history. Then come back and pay attention to Concorde for some more concrete local history lessons: our facade is decorated with a delicate caryatid (rumor has it that it was designed to resemble Napoleon’s face). In our basement you can admire the brick à vela arches.